This page covers three important areas of online gambling payments. Listing of rogue casinos, which have issues paying winners. News on new and innovative solutions for online gambling payments. The main factors which influence your choice of deposit method for online gambling sites is your location (US / Non-US) and whether you regularly move money around online. You’ll find a lot of payment options and 3rd party ‘virtual account’ type services these days. There are big differences in the fees they charge and also the number of casinos and sportsbooks which accept them. US Player’s Main Options: Depositing at offshore gambling sites is thankfully a lot easier than it used to be. 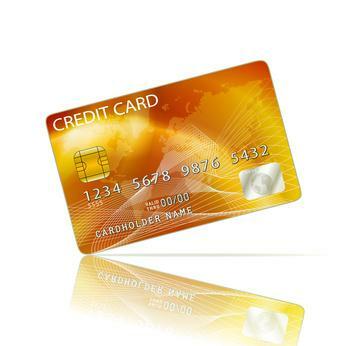 Visa and MasterCard are your best choices, these often get through first time using international purchase capabilities. Amex is accepted occasionally too. If your card gets declined, I recommend a pre-paid Visa (again, international payments needed) as your next best option. There are some alternatives which involve using money transfer companies like Western Union. These are very reliable ways to get your account funded, though the fees are somewhat higher. Speak with your gambling site for info on where to send the money to. Other (less common) ways US players are using include eChecks (BetOnline) and Wire transfers. International Player’s Main Options: If you are outside of the US then all of those options listed above are available, though there are some even better options – in the form of e-wallets. Well-known brands include PayPal, Skrill and Neteller (though there are many others). These are virtual accounts; you fund them through your bank, and then send and receive from the gambling site operators through these systems. Many people use these as it means that personal bank information does not need to be given to any gambling operator (providing extra security). Other options internationally include pre-paid vouchers or ‘virtual credit cards’ (UKash, EcoPayz for example), or a long list of local and regional options include WebMoney or Poli. Again there is a split between US gambling sites and International ones. For US players the usual withdrawal method is a paper check. Banks will accept these, though this method is not very fast. Some sites will courier a check right to your door, and many will ask for a payment towards this, particularly for multiple withdrawals in the same month (first one usually free). Internationally, the restrictions are not there – so withdrawing is simply a matter of working with whatever fraud and money laundering controls each casino has in place. You’ll often be asked to withdraw back to the same card or e-wallet you deposited with, at least up to the amount of your original deposit. If you are using a method which restricts withdrawals (for example MasterCard) then you’ll be able to choose an alternative. 99% of online gambling site operators are completely safe, though there are rogues out there which you need to be aware of. This section will list casinos which currently have issues with paying out their players. These issues are sourced from the gambling community and reported here on an as-is basis, it is up to individual players to do their own research into any operator before doing business with them. Lock Poker: This poker site has a terrible record of failing to pay out players, with many waiting for more than a year with no sign of their money. I recommend you completely avoid depositing at this site until the situation is resolved.